Experience the festival of lights and sound as communities come together for the Hindu festival dedicated to the victory of light over dark! Worth including in your India travel plan, Jen Marsden takes you on a journey on how best to celebrate Diwali during your India tour. It’s been almost seven years since I first moved to India to join the Enchanting Travels team. What I absolutely adore about India is her constant ability to astonish me. No day is ever the same and it’s unlikely I will ever be dragged down by routine and monotony. (As I write this a tiny chirping bird just flew into my office to say hello, before flying out again!) This is especially the case during festival season. Each religious and cultural festival in India is diverse and can completely vary from region to region. The sheer number of festivals that India celebrates always keeps me on my toes – and I love that every religion is celebrated by all! 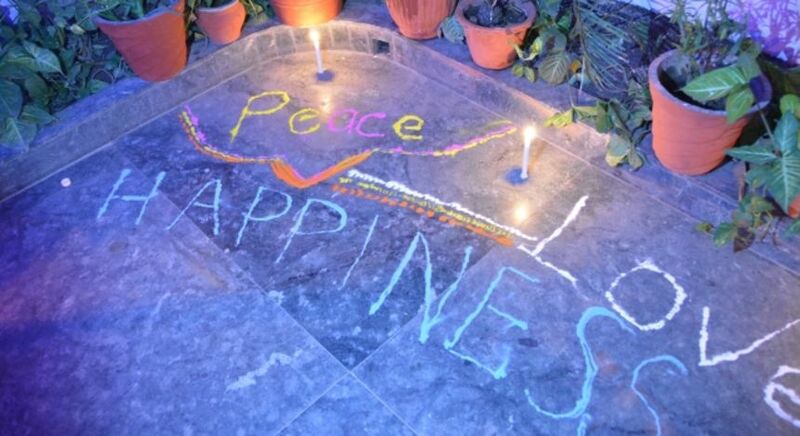 One of my all time favorite festivals in India is Diwali, known as the festival of lights. 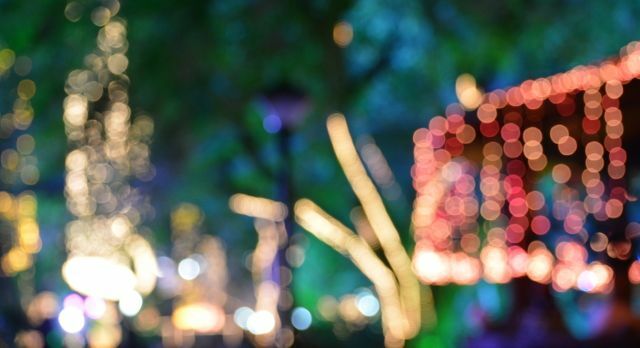 Happening usually in the month of October, with the date changing from year to year depending on the moon, the five day festival of Diwali really sets the tone for a plethora of festivities right up until the 1st January, the New Year of the Gregorian calendar. Diwali is one of India’s primary festivals and is celebrated across the country, albeit with different traditions and heights of observance. I love the fact that people really come together – it’s a time for family and for community. 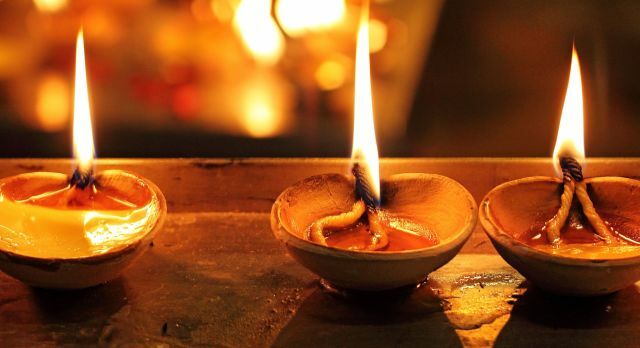 Streets are lit up with diyas – small clay oil lamps – that add a touch of magic. Last year, my friends drove me around my neighborhood in Bangalore, South India at a snail’s pace, so that I could relish all the festivities as I saw folks amble out of their homes and apartments to gather in the street, the old and young alike. Little ones were handed sparklers and were supervised by adults as huddles of people set off fireworks together, and passed around trays of homemade sweets. It made my heart melt to see this community spirit, which is rarer to find in today’s urban environments. In all the years that I have been in India, I still find it incredible that many of our Enchanting team open up their own personal celebrations and homes to our guests. This embodies the kindness and unification of an expression from the ancient Hindu scriptures: Atithi Devo Bhava – Guest is God. How many of us bring a bunch of strangers into our home for Christmas or Thanksgiving dinner? Yet, if we did, we might find ourselves with a whole new group of friends! Sarika Chopra, my fellow team member who lives in the suburbs of Delhi, is one of those that kindles the ancient spirit. 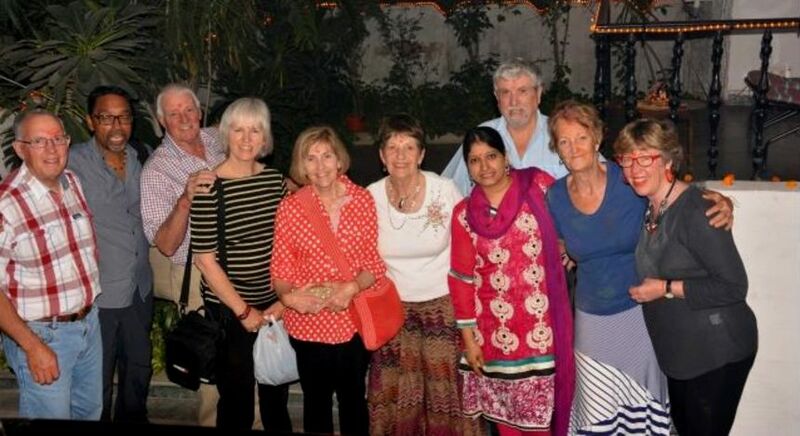 A couple of years ago she opened her home to not just one or two people but a large group of Australian guests who were enjoying an Enchanting Travels trip after doing some charitable work through their international Rotary Club connections. 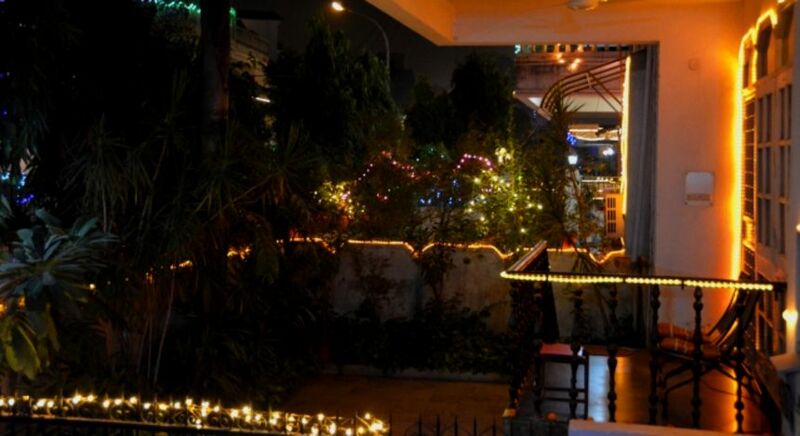 It was heartening for all that Sarika’s young children gently explained to their house guests the significance of each of the family’s traditions, from the pujas (prayers) and the gift swapping to the sweet munching and diya lighting. 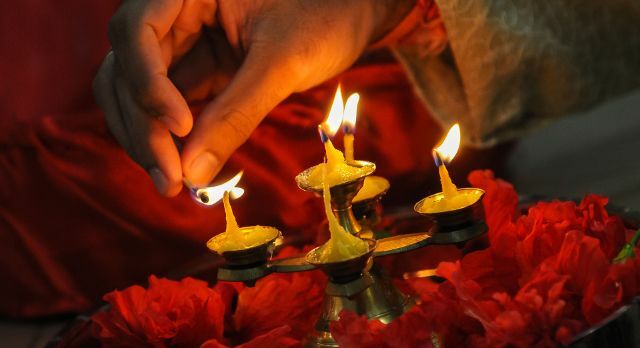 Millions of Hindus, Sikhs, Jains and certain Buddhist sects across the world celebrate Diwali. Timing with the moon, Diwali is first thought to have originated from a time to celebrate a new season for agriculture. The triumph of light over dark, intelligence over ignorance and good over evil, Diwali is also the Hindu New Year. In Hindu mythology, the five day festival honors the exiled Rama-chandra, an avatar of the god Lord Vishnu, who returned to his people when he won a battle against the demon king Ravana. On the fourth day of Diwali, Laxmi, the Hindu goddess of wealth and prosperity, is also honored. To find out more about the festival of Diwali, read our blog here. 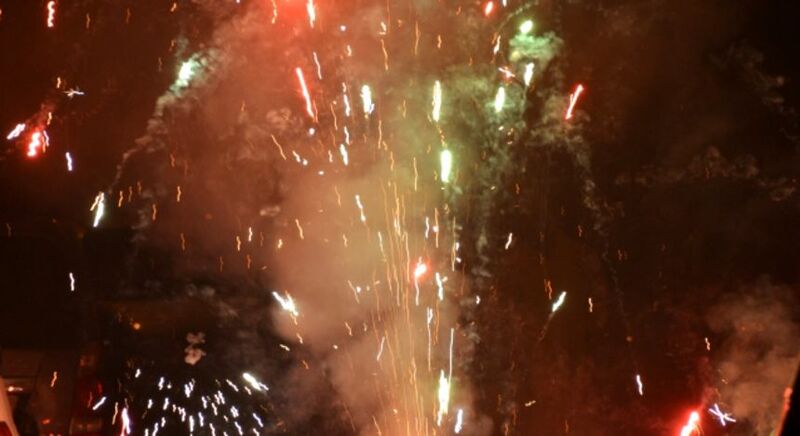 As a festival of lights, it is common to find fireworks and firecrackers going off, particularly in North India’s major cities, such as Delhi. If you wish to avoid the cracks and snaps during your India tour, then I suggest that you head to more rural areas where you can escape this colorful cacophony. In recent years, there has been a drive to reduce the number of fireworks, particularly firecrackers, with much education taking place in schools and the workplace. Last year, our CEO Parik Laxminarayan was told by his seven year old daughter that she would ‘boycott’ any celebrations that involved fireworks as they were not good for the environment, and that all her little friends were in agreement. It seems the future generations are already the country’s custodians! To ensure that people can still experience dark skies coming alight, many cities hold public firework displays, and private and considerately planned events. At Enchanting Travels, we love to bring alive the magic of every local festival. Diwali is no different. 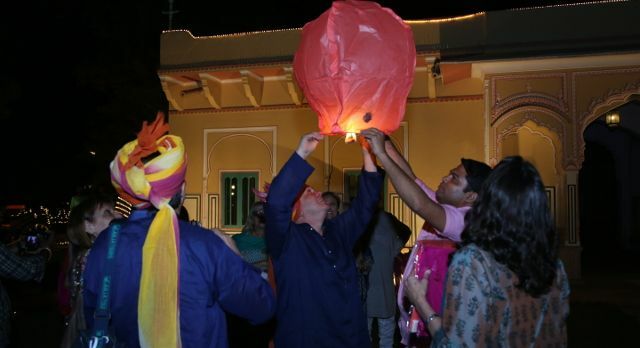 This year, as a guest of Enchanting Travels, you can take part in Diwali celebrations just outside the pink city of Jaipur in a traditional Rajasthani fort. The home of former Indian royalty, you can join other guests from around the world! 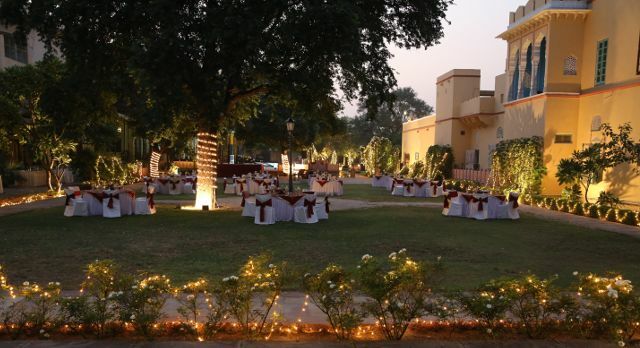 The glow of hundreds of diyas and fairy lights, as well as elephants, camels and horses decked out in full regalia will provide you with an enchanting Indian welcome. 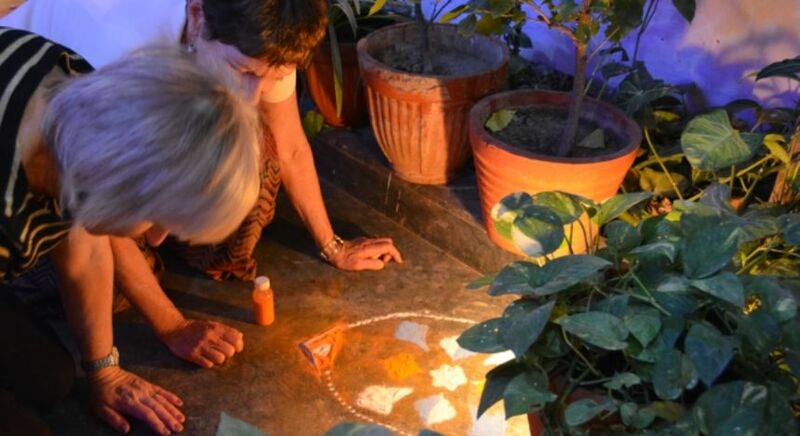 You will be invited to learn about the traditional practice of rangoli, an art form of intricate colored sand patterns, in the fort’s courtyard, and how to make the traditional sweets that are made in honor of the festival. 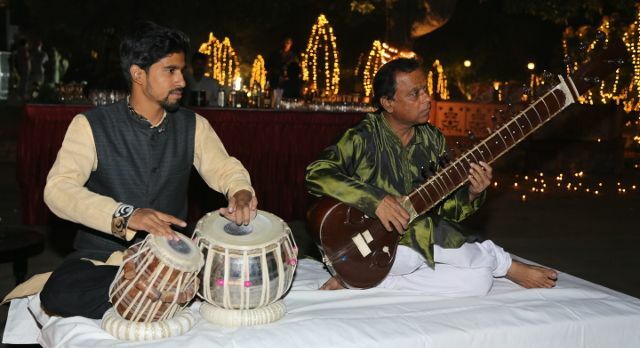 With musicians playing lively traditional Rajasthani music, a lavish Indian feast, and a safe private firework display, this year we guarantee a cracker of a celebration! Diwali falls on 19th October 2017, this year, and I highly recommend you plan your private and tailor-made India tour around this impressive and often flashy festival!